When you visit your local florist or order flowers online, do you ever think about where those flowers come from? In a national survey, only 74% of consumers know the origin of their flowers. The fact is, 80% of cut flowers U.S. consumers buy are imported, mostly from South American countries. Corona recently hosted a #plantchat with Debra Prinzing, noted garden writer and speaker, and creator of the slowflowers movement and spokesperson for the Certified American Grown (CAG). It was organized as unified and diverse coalition, made up of U.S. flower farms, including small and large entities in multiple states across the country. 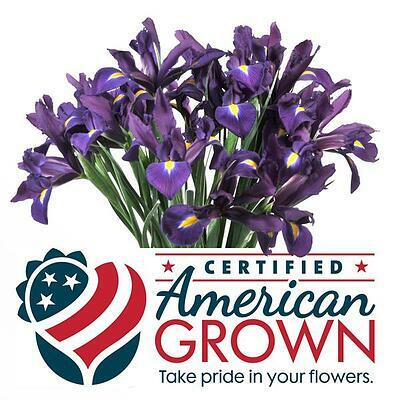 When buying flowers, consumers can look for the “American Grown” and “CA Grown” logos and be assured they are getting domestic and locally grown flowers. As a result of our chat with Debra and the CAG, Corona was introduced to a series of events called Field to Vase Dinner Tour. It is a series of pop-up communal dining experiences that will take place at specialty flower farms across the country. Each event will feature a seasonal, four-course meal served at a table decorated with uncommonly beautiful American grown flowers. Guests will have rare access at each venue to meet and converse with the host flower farmer, a featured floral designer and a farm-to-table chef. Attendees of each private flower-farm experience will take home new insights and a heightened understanding of the American floral landscape, symbolized by a local floral memento and gift bag from their visit. Included in each gift bag is a Corona Curved Snip [AG 4980SS $14] that has ergonomic and comfortable grips that are great for harvesting flowers, fresh fruit from the vine, and herbs. 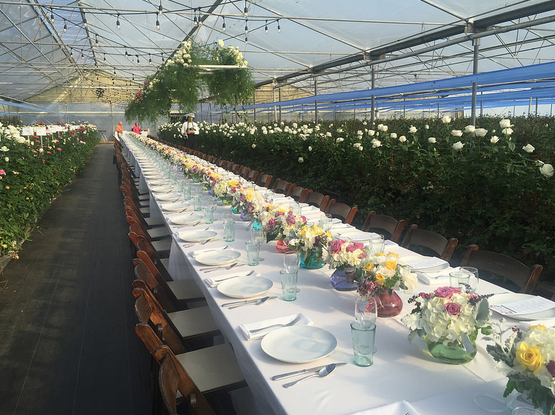 The Field to Vase Dinner Tour continues throughout 2015, taking place across the country at unique destinations -- American flower farms in both urban and rural settings. Each event introduces guests to the age-old art and science of flower farming. As a proud supporter of Field to Vase, friends of Corona can sign up for a special offer code for $25 off the ticket price at the remaining events going on through October 2015. Knowing where your flowers come from and choosing local, can help assure your fresh flowers will be fresher and last longer! The snow is gone, tulips are blooming, and Mother's Day is right around the corner -- let's talk cut flowers this week on #plantchat. Whether you grow them, or buy them -- or both -- cut flowers bring the garden indoors and are a treat for mothers everywhere. Join us for this great topic and discussion packed with great hosts, some impressive floral eye candy and prizes throughout the chat! The American Horticultural Society and Corona Tools are delighted to chat about American-grown flowers, floral design and more with Debra Prinzing, the "Voice" of the Slow Flowers Movement and renowned author of Slow Flowers and The 50 Mile Bouquet as a special guest on the upcoming #plantchat. The "Slow Flowers" movement is akin to Slow Food, with an emphasis on following the seasonal products of local farms and gardens. Debra Prinzing is an award-winning author, speaker and leading advocate for American-grown flowers. She is the creator of Slowflowers.com, a free online directory that helps consumers find florists, designers, studios and farms that supply American grown flowers. 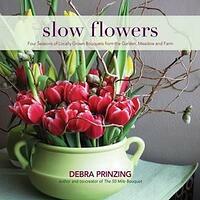 Debra's book Slow Flowers (St. Lynn's Press, 2013) received a Silver Medal from Garden Writers Association in 2014. She is the producer and host of the Slow Flowers Podcast with Debra Prinzing, which is available for free download on iTunes or at debraprinzing.com. Join our conversation with Debra, tell us your favorite flowers of each month, and which blooms you discovered in the "off seasons" in your garden. This week there are great prizes for the top tweeters during the #plantchat hour. Our prizes this week can all convert into great gifts for Mother's Day too! 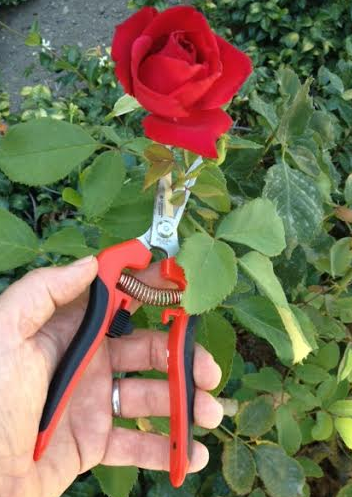 Win a one-year membership in the American Horticultural Society, Debra's books "Slow Flowers" and "The 50 Mile Bouquet", a Slow Flower bouquet shipped anywhere in the U.S., and Debra's favorite flower snips from Corona Tools, ComfortGEL Snips. Bring your experience with floral design and American grown flowers to #Plantchat and bring your questions too! Join @CoronaTools and #Plantchat co-partner, American Horticultural Society Digital Communications Manager Charlotte Germane @AHS_Gardening, along with special guest Debra Prinzing @DKPrinzing. This week's topic is 'Slow Flowers' and Prizes with Debra Prinzing. The live chat begins Monday, April 20, 2015 at 11 a.m. PST / 2 p.m. EST, were we come together with green industry experts and fellow horticultural tweeps each week to discuss all things related to plants and horticulture, since 2014. Don’t miss out on this exciting topic and join the conversation via Twitter. Just sign into #plantchat with your Twitter ID and you can follow the conversation and share with the community. 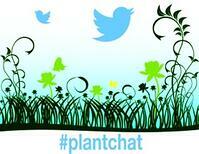 Be sure to add the hastag to all your tweets or join us in the plantchat room on Tweetchat. They will automatically add it for you and it's easy to watch the conversation as it happens! Connect and share with the green industry leaders live on Twitter and 24/7 to learn and share about hot topics in the green industry. Now plantchat is part of the Green Industry Leaders Network (GILN) presented by Corona and its partners. We are an alliance of professional organizations who are advancing the horticulture, tree care, and landscaping industries.